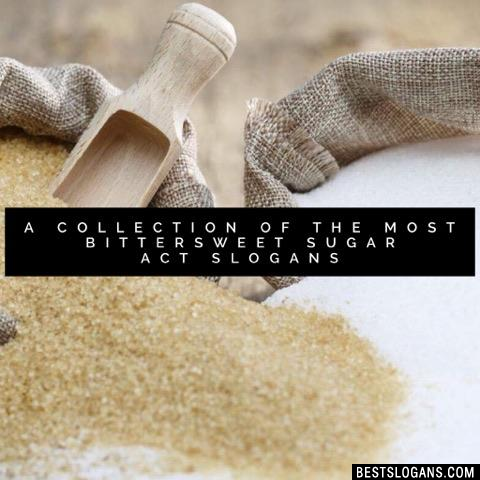 8 new entries added to sugar act slogans, that include pictures. 1. No taxation without representation. 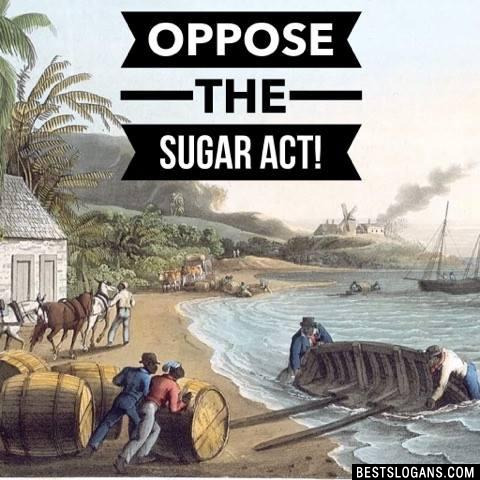 The Molasses Act was set to expire in 1763 but the British government though that the demand for sugar and rum would only increase. 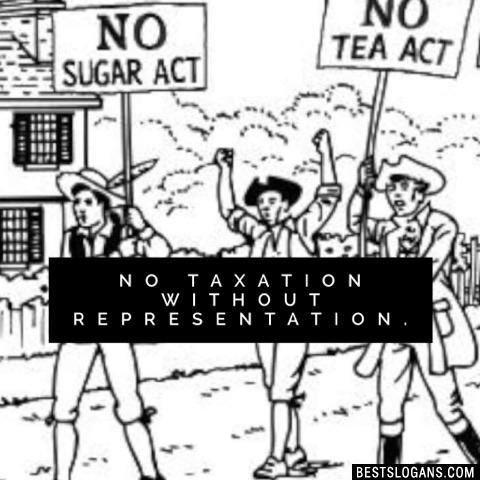 Americans protested the Sugar Act primarily because of its economic impact, but for some "no taxation without representation" became a rallying cry against Parliaments right to tax the colonies. 3 Taxes are not a treat! Sugar is supposed to be sweet! 4 The Sugar and Molasses Acts. Sour Colonists on the Bitter Tax. 5 We've got a sweet tooth for your tax! 6 Absinthe and sugar: one class act. 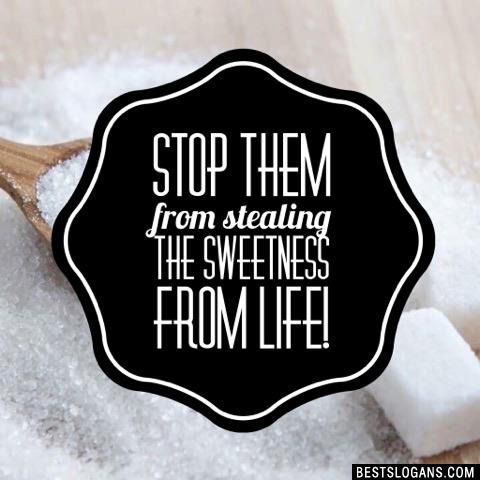 Stop them from stealing the sweetness from life! 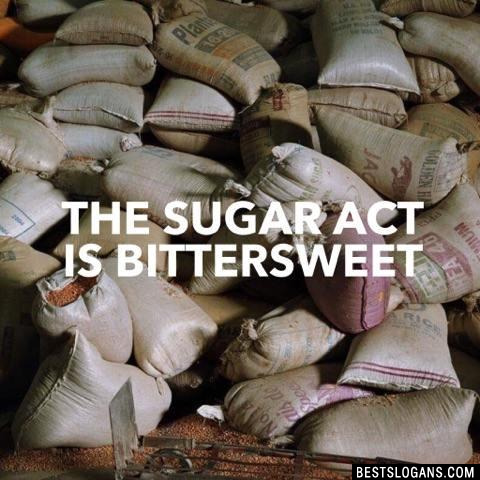 Can you think of a good Sugar Act Slogans we're missing? Or come up with a clever one of your own. Please share below.